Every classic wine region is associated with a list of producers who manage to bring out the best in soil, site and grape. Their wines have purity of flavor, layers of flavor and concentration of flavor. In essence, these producers manage to bottle the soul of the region itself. In the Loire Valley, diverse soil types and grape varieties give us three producer groupings who have set the bar for excellence and distinctiveness. In order to cover them well, we will host two webinars. Here, we will focus on the still whites from the western Pays Nantais (Muscadet) and the still whites, rosés and reds eastern vineyards of the Centre Loire (Sancerre, Pouilly, Menetou-Salon, Quincy, Reuilly and Coteaux du Giennois) with a bonus glimpse into the Auvergne. Yes, it will be a “who’s who”, but it will also be a “who’s doing what!” at both ends of the Loire! Click here to access PART 1. This webinar will focus on the heart of the Loire—the exquisitely beautiful and breathtaking stretch from Anjou to Touraine. We will take a look at historic estates and edgy newcomers and see how both are tackling tradition and innovation within every wine style. There is magic in the Middle Loire. Discover the best of the best. 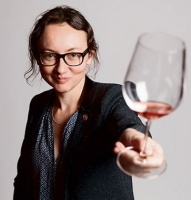 Blame the Château d’Yquem 1937 for convincing 2010 StarChefs.com Rising Star Sommelier Pascaline Lepeltier to begin her brilliant career in wine. Detouring from a master’s in philosophy and a career as a university teacher, the Loire Valley-born (Angers), Lepeltier began her obsession with wine at the two star Michelin-rated L’Auberge Bretonne under celebrated Chef Jacques Thorel, starting as assistant sommelier and soon presiding over a list of more than 4500 wines. Within a year, Pascaline accomplished the remarkable feat of being named both Best Loire Valley Young Sommelier and Best Brittany Sommelier. While working as Beverage Director at Rouge Tomate in Brussels, she decided to intern at the George V in Paris under the direction of Best European Sommelier Eric Beaumard to train for the 2008 Best French Sommelier competition which paid off with a second-runner-up finish: the best result ever achieved by a woman. She again placed as the second-runner-up in 2010 and 2012. Currently Beverage Director of Rouge Tomate NYC, she was named one of the five best new US sommeliers of 2011 by Wine & Spirits magazine, one of the "New Wine Prophets" by Time Out NY and one of the “40 under 40” beverage influencers by Wine Enthusiast. Lepeltier makes sure she is as knowledgeable about winemaking as she is about tasting, spending much time in vineyards and working harvests. It was through such visits that she discovered the world of natural wine. Called the “Natural Wine Evangelist” by Ray Isle in Food & Wine, Lepeltier’s strong advocacy of this authentic and pure approach is reflected in the large number of organic or biodynamic wines on her Rouge Tomate wine list, awarded in 2013 by the NY Times as one of the best in NYC, and 3 stars in 2014 by the World of Fine Wine. It is not surprising that she has written for various prominent wine guides and books in France -- including Art of Eating and Wine & Spirits- and was featured in numerous food and wine publications -- NY Times, Wall Street Journal, Wine Spectator, Decanter, Wine & Spirits, Food & Wine, Saveur, The World of Fine Wines, La Revue des Vins de France, etc.